Do you hate your Nexus 5 or any other device because it has low sound? I know how it feels, I had Micromax A60 and it had a speaker that cannot be heard until you place your ear or it! Anyway, it's of no use because I don't use that device. 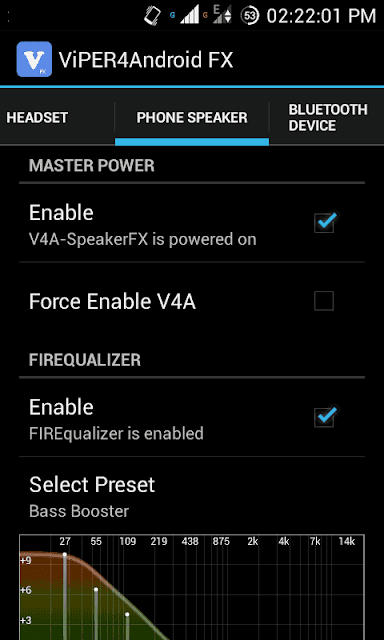 I don't have any android device but when I had my device I tried the Viper4Android Audio Effects mod and that was not fake like many mods available on XDA, that really worked and I was shocked, I thought there is no mod which can increase your sound volume but this MOD really worked. Zhuhang@XDA posted the mod on XDA and he said that he is not the actually but, still thanks to him for his work (even if it is of posting!). Also, the MOD is open-source so you can easily make changes based on your device. The MOD has been downloaded more than thousands of times and none of the user failed in installing the MOD. The MOD is working on most of the devices, only rare devices cannot utilize it. With this MOD, your treble will be too much high at the maximum volume which is cool but there are some chances of bricking your speaker. This is great for people who use their device for listening to songs with speaker. Also with Acid Sound Mod, this becomes superb! Acid Sound MOD+Viper Sound Mod= DJ! but Viper is way better than Acid Sound Mod. If you are not sure that the MOD increases the volume then install it and turn off and on between your music, you will surely find the difference in this. The MOD works on GingerBread devices as well! Our excluded OS has compatibility to run Viper4Android MOD, also our latest OS i.e, Kit Kat, this is also supported but only on some devices, people reported that in Kit Kat it is not compatible, means most of the devices got it working but some got failed to boot with it. You are at MXRootRom, so I think you might know that without rooting my most of the guides are reviews and all but you require root in this process. You don't need any CWM or TWRP to flash the MOD but you need root because it changes and adds some files in /etc and /lib folders when it turns on. XDA is a great place actually, you can find all MODs and useful things for your Android device there only. Let's no more talk about MXRootRom and XDA and move to our main part of the article. Any Android device [GingerBread 2.3, HoneyComb 3.0, Ice Cream Sandwich 4.0, Jelly Bean 4.1, Jelly Bean 4.2, Jelly Bean 4.3, Jelly Bean Kit Kat 4.4. Basic knowledge of installing and using Android applications. Download the ViPER4Android MOD from the link given above. Open your File Explorer. Go to the folder where you moved the extracted apk and tap on it. It will display a popup to install it or not. Tap Yes. It will install now. Open the application from your application drawer. It will prompt you to = install Audio drivers or not (just confirm it). Soon it will complete the process. Open the application again after reboot and you will see options like Handset, Loudspeaker. Play with it and enable any settings that you like. This should work on any GB+ device and I think it's working on your mobile too, if yes then comment here with your mobile phone and don't forge to give your reviews on this MOD.